On behalf of the Board of Directors, I am very excited to introduce Caitlin Koch as our Clinical Director, managing our clinical programs and staff. Caitlin has a passion for journeying with children, adults and families through their grief experience. Her deep desire to promote resilience in those grieving the death of a loved one has evolved from witnessing profound growth in people bearing unthinkable pain. Caitlin has supported grieving individuals in various contexts, including work in palliative and hospice care as well as bereavement settings. In addition to her Clinical Director role at The Healing Center, Caitlin is a Grief Support Counselor in Snohomish County. 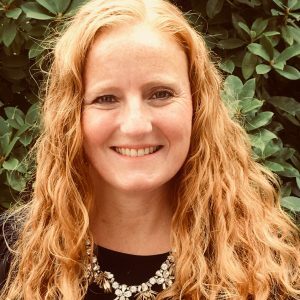 Caitlin’s educational background includes a bachelor’s degree in psychology, a master’s degree in Child Life, and a master’s degree in social work. Professional affiliations include The Association for Death Education and Counseling, The Association of Child Life Professionals, and the National Association of Social Workers. Most recently, she worked at The Dougy Center for Grieving Children and Families in Portland, Oregon. Any additional questions can be directed to the Healing Center at hello@healingcenterseattle.org.